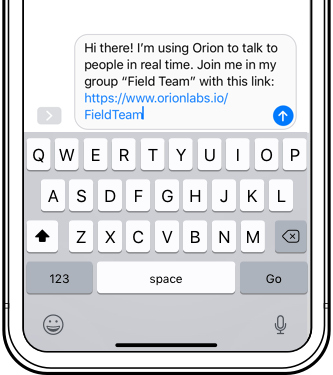 When in a group, select the invite button to see teammates on Orion. 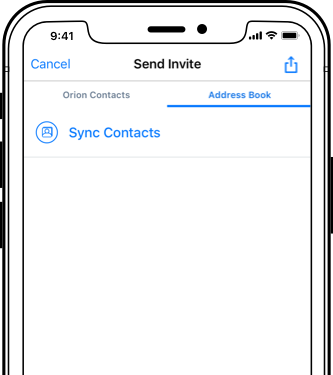 Navigate to the Address Book tab and select Sync Contacts. 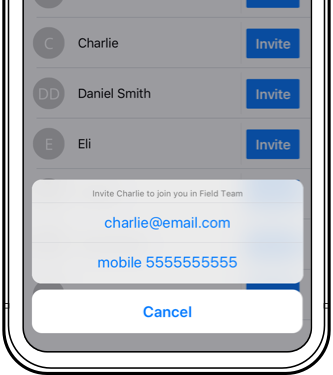 Tap the Invite button next to the contact's name that you'd like to invite to your group. Send invite via email or text. 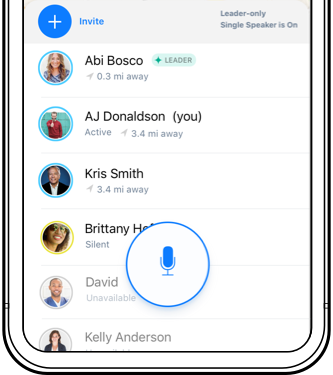 The link allows your contact to join the group directly, without logging in.